Get immersed in the Galician culture while walking the eighth stage. Enjoy the green and beautiful landscape that Galicia offers you and try their amazing local cuisine, which is considered one of the best in Spain. 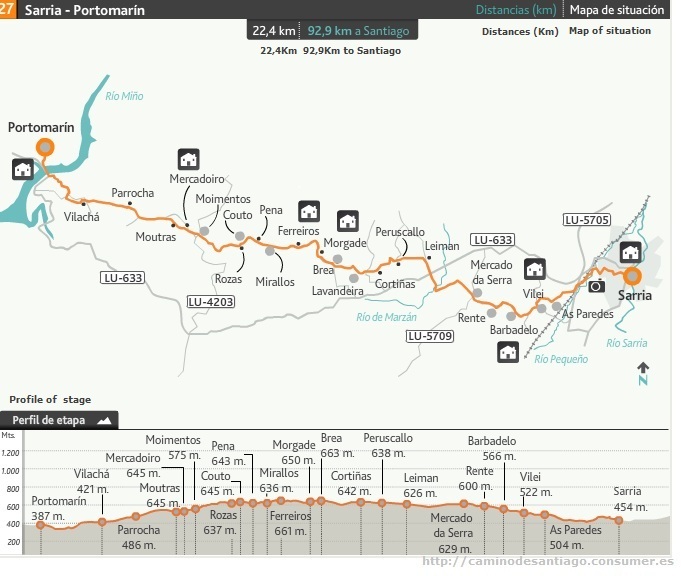 This stage covers the way from Sarria to the final destination, Santiago de Compostela. The eighth stage (also known as “the fast way”) is the choice of most of the pilgrims. 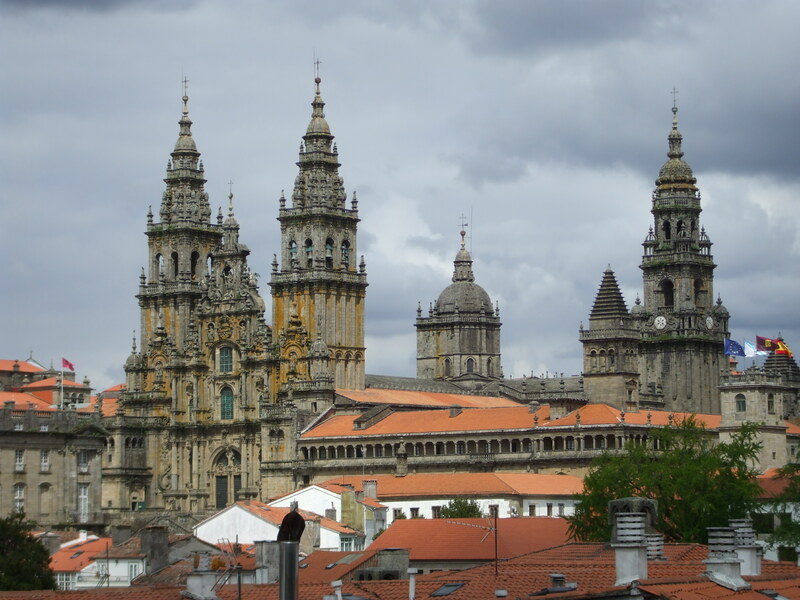 One reason is because the Cathedral of Santiago provides pilgrims with the “Compostela Certificate” if they have walked at least the last 100km of the Way. – Hotel selection: We select hotels and accommodation based on their comfort, facilities and character. – Luggage transfer: We believe that walking with a light pack provides you with a level of comfort that ensures you enjoy your walk. Everyday, we take care of your luggage ensuring that it is waiting for you at your next hotel. – Holiday Pack: Before your starting day, you will receive a holiday pack containing all the information about your trip, including walking notes describing the route on a ‘step-by-step’ basis, and the best available detailed maps. 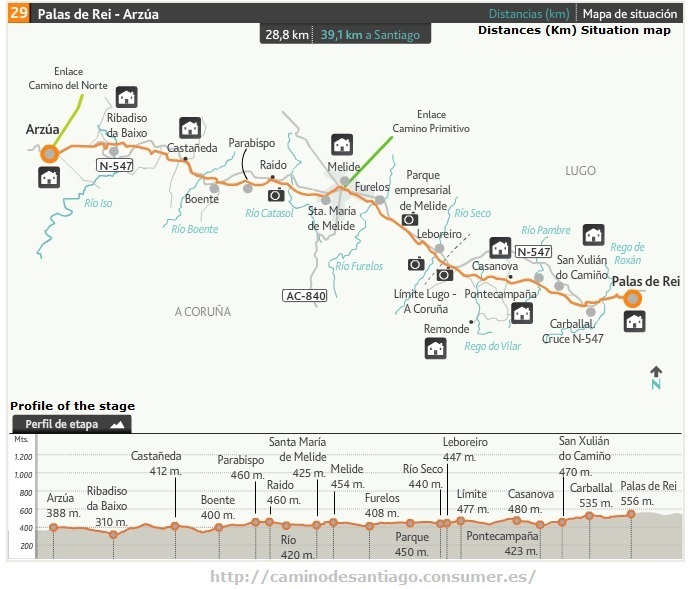 – Pilgrim Passport: Your “Follow The Camino Passport/Credencial” will be stamped at each stage of your journey, allowing you to gain the certificate of accomplishment given to pilgrims on completing the Camino (min. 100Kms required). – Support before and during the Camino: Before your holiday, we provide you with a detailed list of items to bring and our team is available to answer any questions and queries you may have. During your trip, we can provide local assistance and there is an emergency phone number available 24/7. Portomarin is located on the side of the river Miño. Actually, this is the New Portomarin. 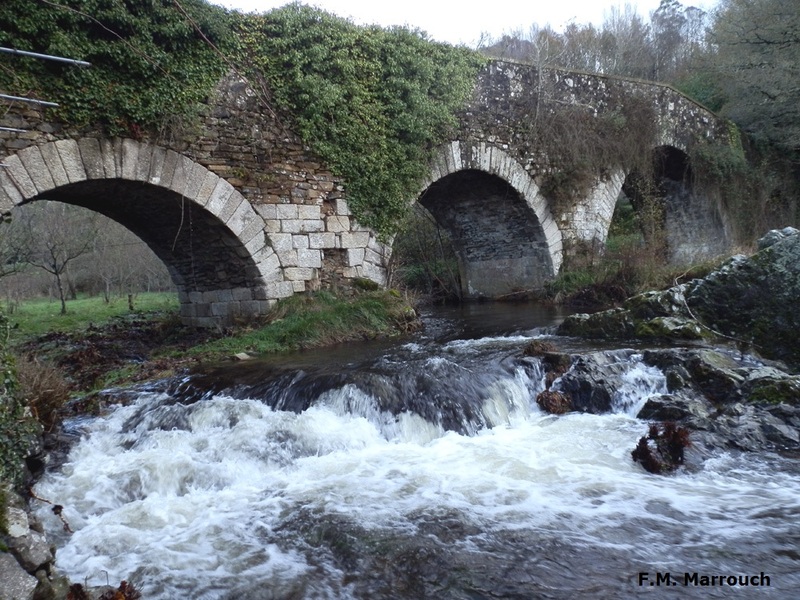 The old one is submerged under the waters of the Miño river in the Belares Dam since 1963. 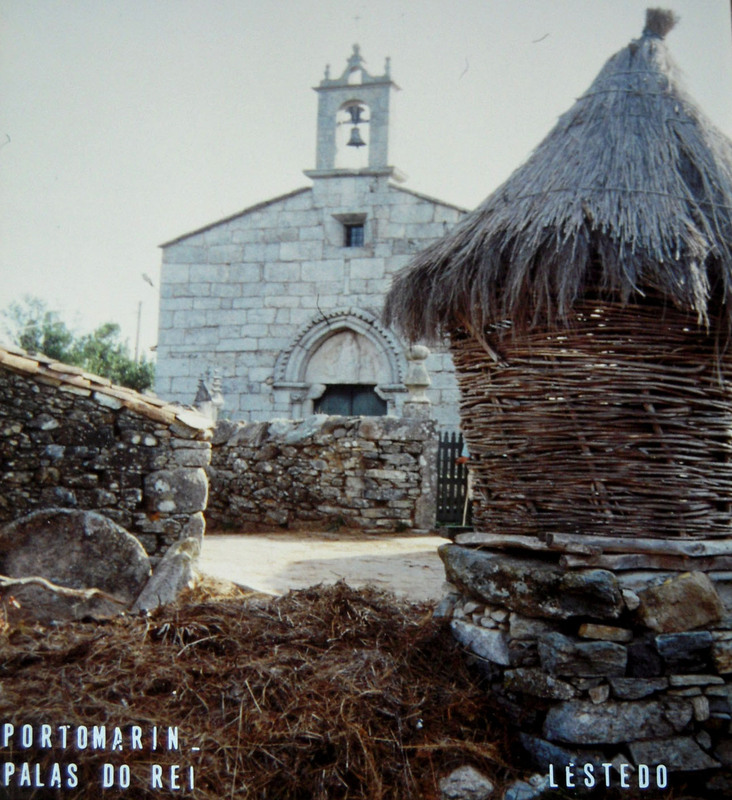 The old Portomarin was a very important part of the Camino during the Medieval Ages. It had a big bridge and a Hospital. Now, all of that is underwater. In the fall the old town resurfaces with the descent of the river flow. The great church constructed during the XII Century by the knights of the Order of San Juan of Jerusalem, was disassembled, stone by stone to be rebuilt in the place where it is located now. 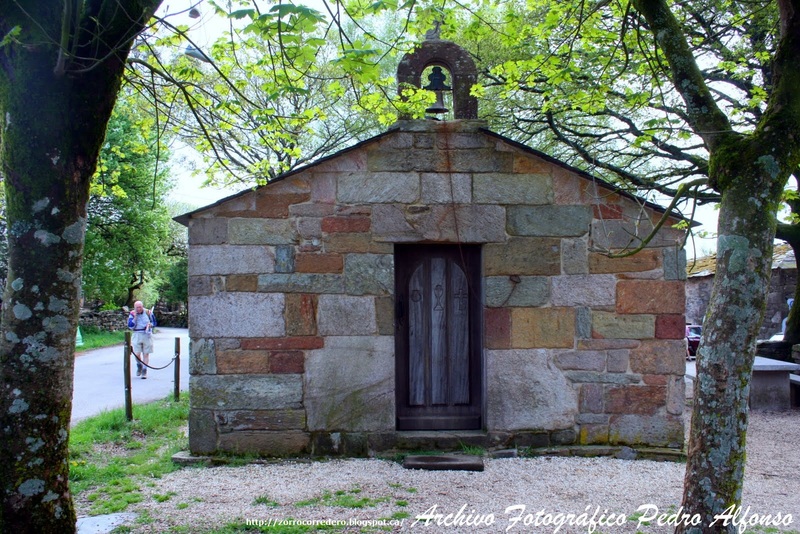 – Church of Santa Maria de Ferreiros (Ferreira): This small church that has a Romanesque facade of the XII Century, is located in the little hamlet of Ferreiros. This hamlet appeared thanks to the Camino de Santiago. Ferreira was a blacksmith’s site where pilgrims could nail their shoes and the ones travelling by horse, could shoe their animals. have any meal of the day or just to relax. Very good sandwiches. After this stop, the pilgrim lovers of archeology should take a short detour to visit the archaeological remains of the Celtic fort (Castro) in excavation process. Time: 6 hoursThis part of the way crosses the Ligonde Mountain range that separates the Miño and Ulla rivers. It has a nice start ascending Mt. San Antonio and walking through pine trees and meadows. After that, most of the way runs along paved roads. Along this way, we will find interesting churches to visit and also, we will have the opportunity to deviate to Vilar de Donas, where we can visit the Church of San Salvador, some pilgrim Hospitals and the Crucero of Lameiros. – Castromaior: Named for the Castro (Celtic fort). People have probably lived until the Romanesque period in the Celtic Fort. Castromaior also has a Romanesque church from the XVI Century. – Ventas de Naron: Is the last village of the area of Portomarin. It is a medieval Village where in 820 A.D. there was a fierce battle between Christians and Moors. 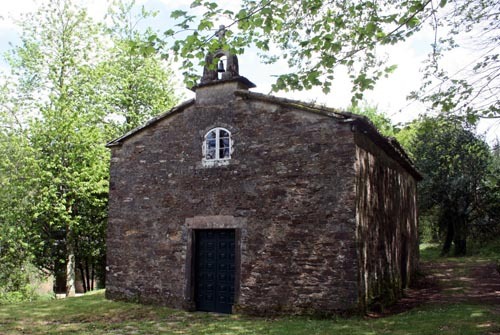 In this hamlet you can find the Madalena Chapel, an ancient Pilgrim Hospital. Its curious wooden door has a carved scallop (vieira) symbol of the pilgrimage to Compostela. – O Rosario (Km 23,4): Is a place where pilgrims used to pray a Rosary overlooking Monte Sacro. Also, a place where the Apostle Santiago’s Disciples have trained the bowls that later carried the Saint’s body. 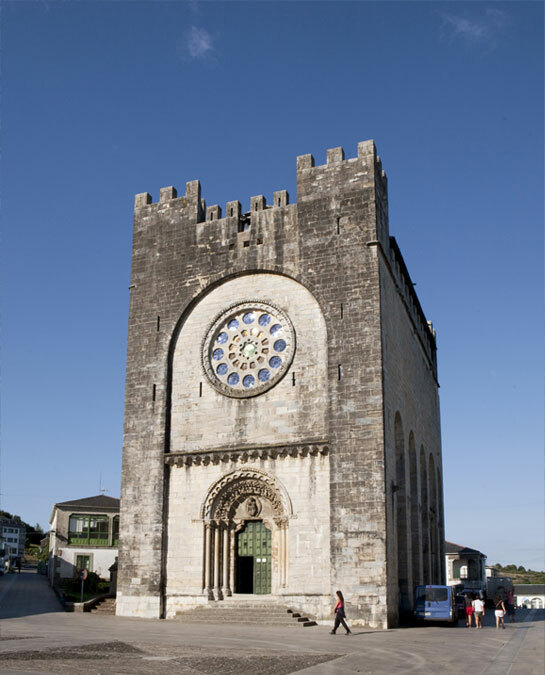 – Vilar de Donas church: (Detour (2.5km each way) before Palas de Rei) It is a good example of the Galician Romanesque churches. Around it, some of the knights of the Orden of Santiago were buried. – Castillo de Pambre (Palas de Rei): Is the most complete Medieval Fort in Galicia, dating from the XIV C.
–Pazo de Ulloa (Palas de Rei): This pazo was the home of one of the most important families during the Medieval Period. 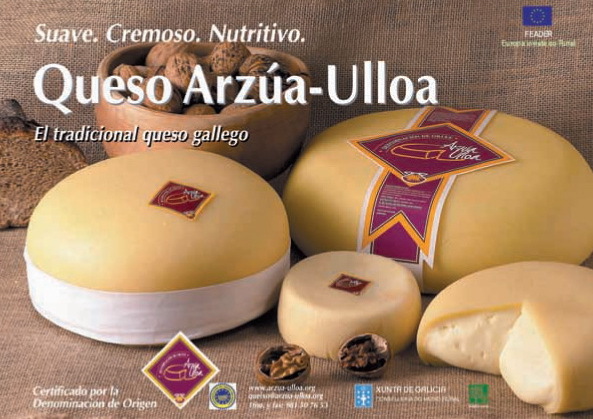 Cheese of Arzúa – Ulloa: Together with Arzúa, Palas de Rei is famous for its delicious cheese. “Denominacion de Origen” since 1995, (meaning that it has gone throughout strict quality controls and is created with milk of the area). This is a very softcheese, and has a smooth and waxy rind. There are two types of Arzua-Ulloa cheese, the main difference is due to the maturation period (from 6 days to 4 months).The cream cheeses are more for winter time, while for the summer it is better dry, with a slightly acid taste. This type of cheese is highly appreciated because of its smoothness. 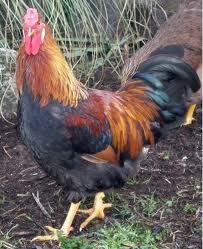 It is used in many Galician receipes and accompanies the flavors without actually hiding them. – Lestedo: “Mesón Casa A Calzada”. Generally Bars, offer not only drinks but also sandwiches and Snacks and some places such as the Mesones serve Tapas, Raciones and main meals. Even though it is a 29Km journey, it’s equivalent to a 40 Km hike on flat ground. There are many up and down-hills that make it very difficult to keep up. Because Melide and Arzua connect with the Primitive and North Caminos, the number of pilgrims on the way will be higher from this point. 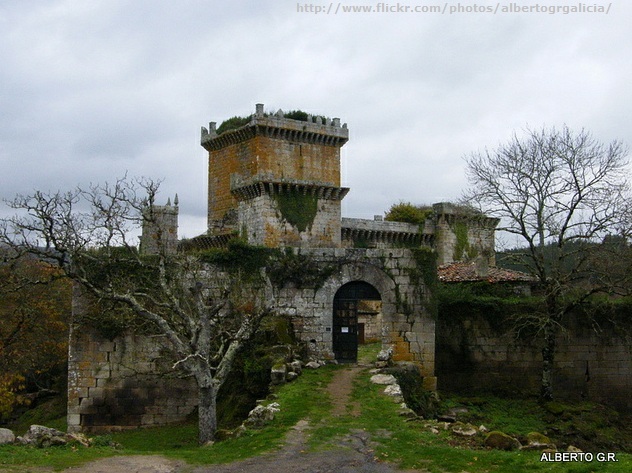 – Castillo de Pambre (Palas de Rei): Is the most complete Medieval Fort in Galicia. It dates from the XIV C. and it has survived the “Irmandiñas fights” against the feudal lordships. – Church of St. Maria of Leboreiro (Leboreiro): Is the building that used to be the pilgrim hospital named “La Casa de la Enfermería” founded by the noble Ulloa family, whose coat of arms can be seen on the wall. On the top of its entrance you will see the image of St. Maria. Opposite to the church, there is a tradicional Cabaceiro (A very big basket that, like Horreos, was used to preserve the corn, letting it dry and preventing it from being eaten by animals). 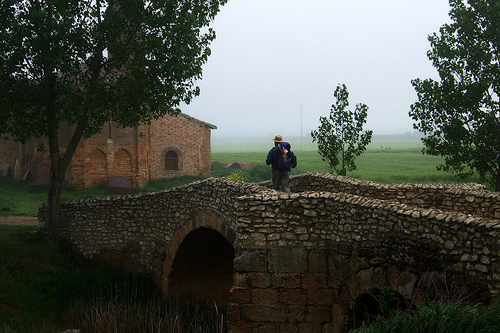 – The Furelos medieval Bridge: that dates from the XII C.
– Iglesia del Espiritu Santo: It has been constructed with the stones of an old Fort of O Castelo that was destroyed during “La revuelta de los Irmandiños”, at the end of the XV C.
– Church of San Xulian do Camiño: It dates from the XII C.
– Church of Santa Maria Magdalena (Arzua): It dates from the XIV C. and is located near the ruins of an ancient convent. 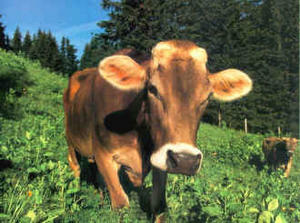 – The hamlets are almost exclusively dedicated to “the Galician Blonde” which is a type of cow that together with the Province of Asturias, is raising the best type of veal in Spain. – The hamlet of San Xulian do Camiño has a legend that tells the sad story about San Xulian: When Xulian was born he was cursed by witches to murder his parents many years later. In order to avoid it, Xulian ran away from his home ending up in Galicia. His parents looked for him and when they finally found his home, Xulian’s wife offered them to rest in their marital bed, while Xulian was still out hunting. It was then, when the devil came and told him that the people in his bed were his wife and a lover. Because of this, Xulian murdered his parents. Asking for forgiveness, Xulian offered to set up a hospital for pilgrims. Xulián eventually built more than 7 hospitals and several houses offering respite to the poor and weary. According to the legend, an angel came to him a few years later and forgave him. – Santa Maria de Leboreiro: According to a legend, one day, beside the church some water started to flow from an interesting fountain that emitted light at night and a nice scent during the day. People, curious about it, started digging until they found an image of the Virgin that was moved into the church of the hamlet. 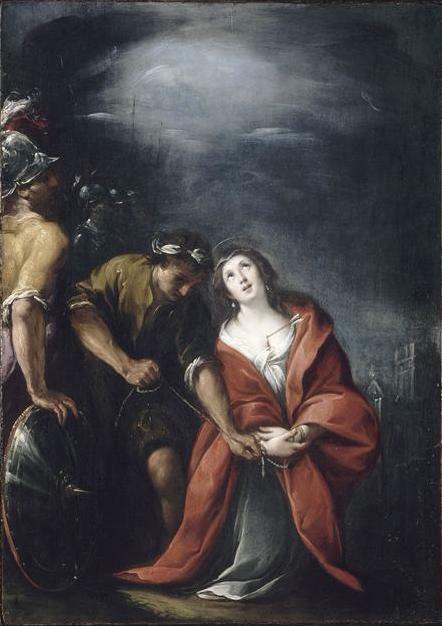 But every night, the Virgin went back to the fountain. Then, the inhabitants of Leboeiro decided tu sculpt an image of the virgin on stone and put it on the thympanus of the entrance, where is still located. Because of that, the Virgin stayed since then inside of the church. After walking half the way, you deserve a delicious Lunch, and we strongly recommend to have it in Melide. Melide is very well-known for being the village located in the interior that serves the best Galician Octopus (Pulpo a feira) Probably the most tradictional dish in Galicia. 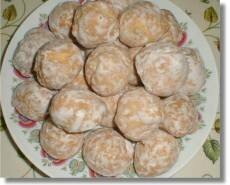 Also Melide is famous for its sweets: Melindres and Ricos. – The Melindres: So you can understand what they look like, they are like donuts but drier, and with a slight taste of anis. They are shined and glazed (to enhance the sweet taste) with syrup. 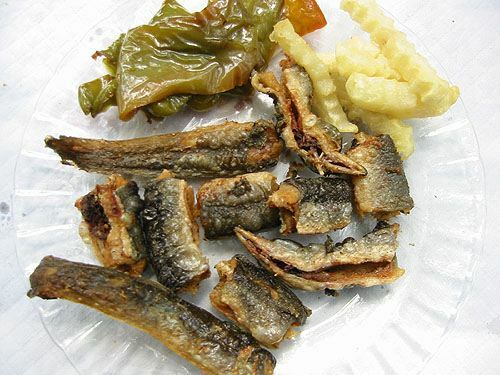 Even though they are sold in many parts of Galicia, it is believed that Melide makes the best ones. 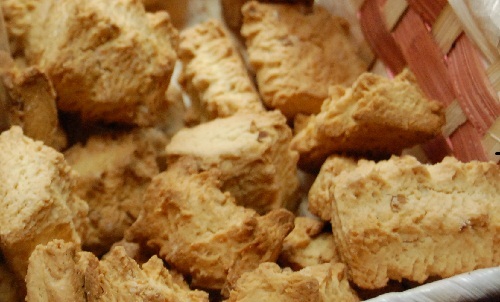 – The Ricos: They are traditional butter cookies, but with a peculiar shape. They are made only in Melide. 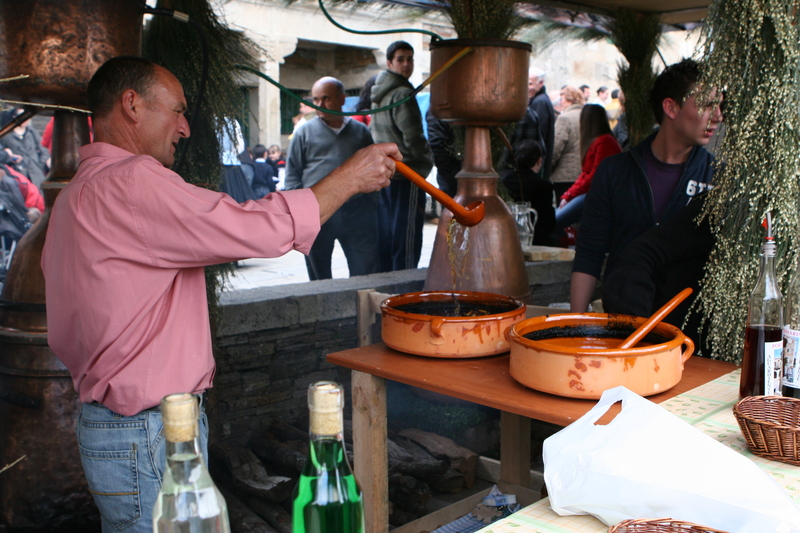 The second Sunday of May Melide celebrates the “Fare of the Melindres and Traditional Pastry”, this fair also tries to remember the craft professionals from the past that formed their tradition (such as blacksmiths, shoemakers, tinsmiths …). – Pulpería “Casa Ezequiel” Very well-known for making one of the best Pulpo a Feira (Galician Octopus) in Galicia. The wine is delicious and the pilgrim ambience can’t be better. Octopus for 2 + Wine = 6 euros. – A Garnacha Restaurante Pulpería (Melide) Address: Camiño Vello de Santiago 2, baixo. Another option to have very good Octopus. – Mesón Rural Ribadiso (Ribadiso de abaixo) Good daily menus. – Casa Chelo (Arzua) Fraga do Rei, 14, Traditional home made food. – O conxuro arzua: Specialiced in octopus, they also serve home made traditional galician food, tapas, paellas, soups..
– Casa teodora, Arzua: Home made traditional galician food. One more time we will be walking among meadows, Oaks and Eucalyptus. Also, we will be passing through small and traditional hamlets. Most of this walk is along dirt roads, with some sections walking beside the road. The walk is easy with some up-hills and many flat sections. You will find bars in every hamlet where you can get something to drink or to eat. This journey will be so much easier than the previous ones. It is probably a good way to get ready for the big moment of entering Santiago de Compostela the next day! 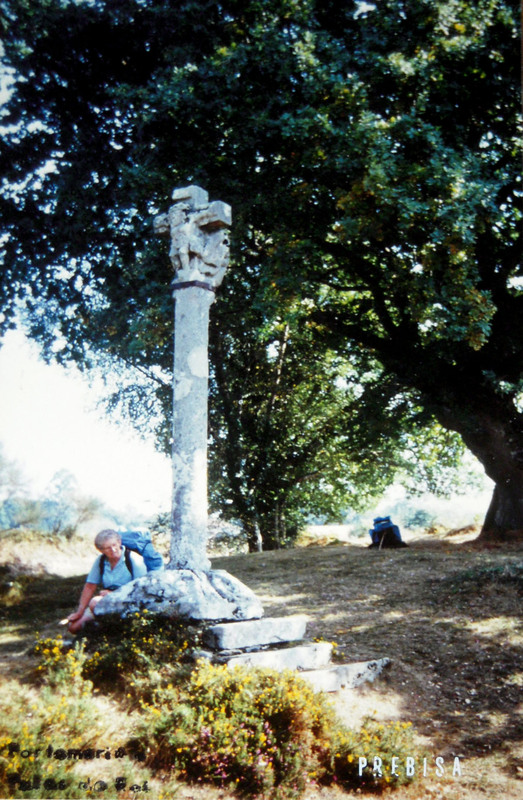 Another legend accompanies the camino de Santiago, this time is about the shrine of Sta. Irene and its fountain: It is believed that right where the Shrine stands, St. Irene was murdered. Also, If the water from the fountain was used to water gardens it had some propperties that killed pests. Moreover, it was believed that children that were sick or cried too much, would be relieved by walking them under the Image of the Saint inside of the shrine. Today we will walk the last Kilometers before we get to our final destination: the Plaza del Obradoiro in Santiago de Compostela. All the previous meadows, sheeps, cows, shades, mud, conversation, self-knowledge, mysticism, religion, wine, Indo-European languages, blisters, stones, bandages, boots, up-hills, down-hills, sacrifices and efforts will desapear soon. Once we get to Santiago, the slabs of its ground will cool-down our suffering feet. Then we will be able to admire the Portico de la gloria, the hug of the saint, the saint door and the botafumeiros in the Cathedral of Santiago. 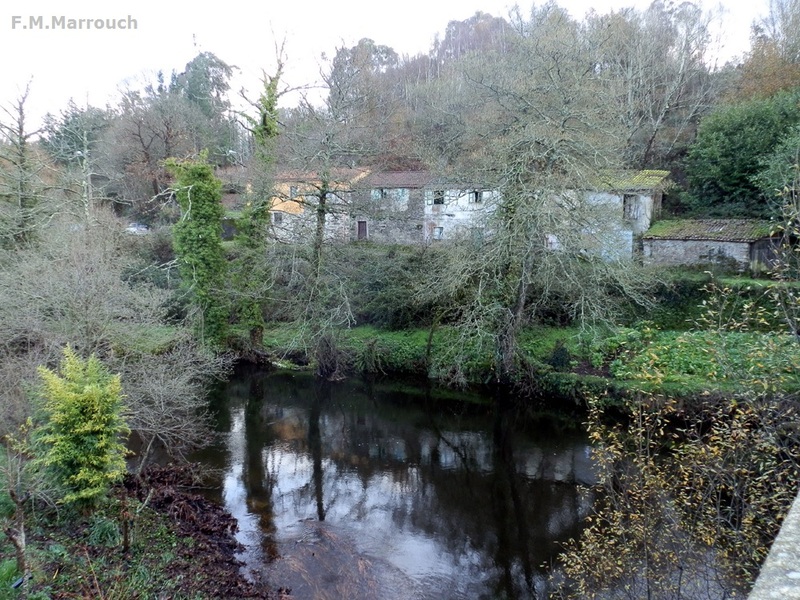 From Lavacolla, where the Airport of Santiago de Compostela is, the way loses all its charm. 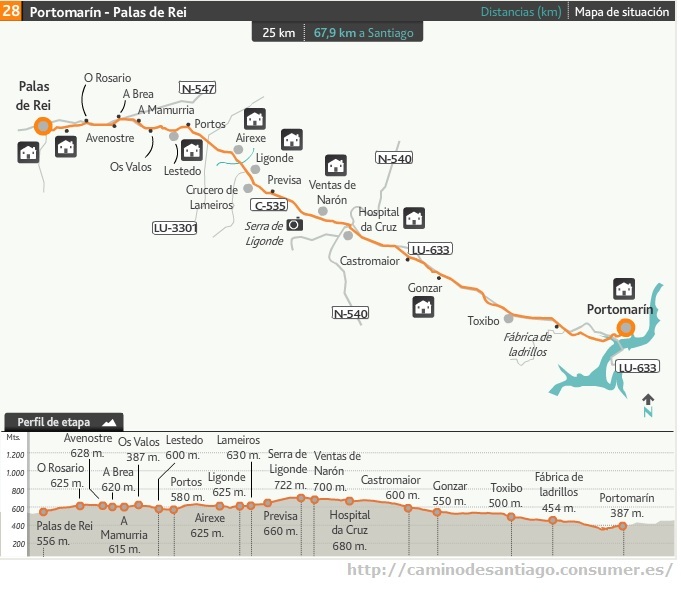 There will be 14 Kms walking through roundabouts, roads, townhouses, industrial areas…Untill we get to the Monte do Gozo, where we will have the first sight of the city of Santiago de Compostela. From this point we will be walking through streets until we will arrive at the “plaza del Obradoiro”. 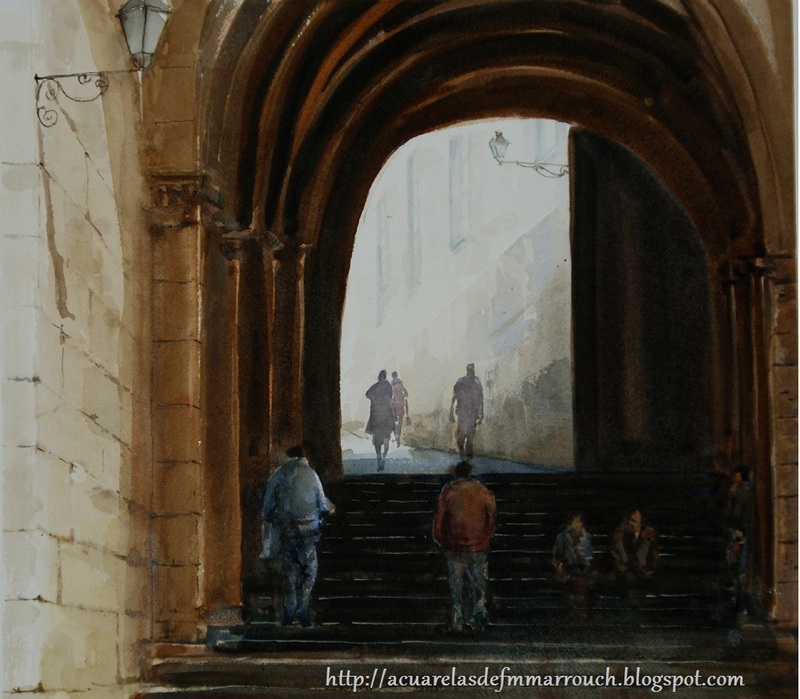 – Lavacolla was the place where pilgrims used to groom theirselves to make sure they would get to Santiago looking good. – A Lavacolla: The creek of Sionllas crosses A Lavacolla. It is known for being the place were pilgrims used to get rid of their dirty clothes, and washed theirselves to look good for their imminent arrival in Santiago de Compostela. – Monte do gozo: Is a small elevation of 380 metres from where pilgrims can have the first view of the towers of the cathedral of Santiago. Since 1993 it became a recreational area for pilgrims. This is the start of the urban walk towards the Cathedral of Santiago. – The Cathedral of Saint-James (Santiago): This Roman catholic cathedral is the reputed burial-place of Saint James the Greater, one of the apostles of Jesus Christ. It has been consacred since 1128 but its baroque facade dates from the XVIII C.
What to eat in Santiago de Compostela:– Caldo Gallego: Galician Soup made with a tipe of Chard that grows in Galicia, potatos, beans and chorizo. – Empanda Gallega: Stuffed bread crust with different fillings: Sea food, fish, meat… mixed with vegetables. – Mariscada: Taste the extremly good quality Galician seafood available. – Pulpo a la gallega: Boiled octopus with paprika and olive oil.Please refer to our link dedicated to this subject where you will find more extended information about it: What to eat in Santiago de Compostela and Galicia.Also check Where to eat in Santiago de Compostela.